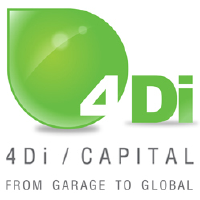 4Di Capital is an independent seed- and early-stage technology venture capital firm based in Cape Town, South Africa. Nurture capital is the term that best describes 4Di Capitalâ€:tm:s purpose and philosophy. We understand that in the early days of any business, support, mentoring and access to networks is just as important as seed capital. Using tried and tested international venture capital best practices, adapted for local use, we believe in entrepreneur-friendly finance without frills, and in working as a team with our investments to achieve their true potential. 4Di Capital Early-Stage Technology Fund 1 targets startup investment opportunities with high growth potential at the seed- and early-stages in the mobile, enterprise software and web sectors. We look for founder teams with hungry passion, commitment, domain expertise and deep insights into the large market problems they wish to solve with their technology solutions. 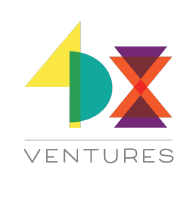 4DX Ventures is an early stage venture firm focused on Africa. We partner with world class entrepreneurs leveraging technology to build transformative businesses. The leading tech investor in MENA. We invest in growth startups, and help them scale by providing them with investment, the support of our ecosystem and act as their launch pad for expansion. We strive for excellence and forward-thinking that challenges the status quo with new and creative ways to make impactful investments. Our investment approach begins with a process of reviewing a companies mission-alignment with our organization. After determining a fit, we then move to a financial review of the opportunity. We believe that opportunities to create an inclusive economy come in all shapes and sizes, therefore a single investment vehicle is not sufficient. We invest across a spectrum of asset classes, ranging from program-related investments to market-rate investments. This leads to a blended portfolio approach that is maximized for impact and weighted for return. Accion Venture Lab invests capital in and provides support to innovative fintech startups that improve access, quality, and affordability of financial services for the underserved at scale. 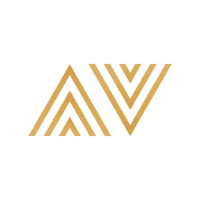 Action Hero Ventures is a private investment holding company that makes early stage investments into real businesses run by strong entrepreneurs. The company was founded in 2013 by Ernst Hertzog (M.Eng, MBA), an industrial engineer with professional experience in telecommunications, healthcare and financial services. Action Hero Ventures is a private investment holding company that makes early stage investments into real businesses run by strong entrepreneurs. Adlevo Capital specializes in equity and equity-linked investments and is a Mauritius-based private equity fund. 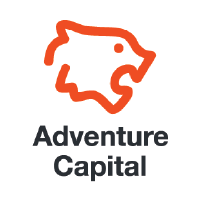 Adventure Capital is a new kind of venture fund. It was founded by bootstrapped entrepreneurs with over 15 years of experience developing consumer-facing technology products. 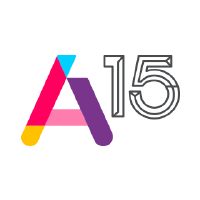 AC is a mix of VC, Venture Factory, and incubator. Our investments are made mostly in the developing world where we often put the founding team together ourselves through diligent recruiting efforts. Adventure Capital’s global vision is to provide the developing world a jumpstart in the fields of renewable energy, transportation, and payments.